Despite living in a highly opinionated world, there are some things that are generally agreeable in life and one of them is the need to get a life insurance policy. Although it is not a new term, life insurance is one area that most people find a bit confusing and scary hence the reason I feel we should first get the basics right. In a nutshell, life insurance is a written contract entered into between an insurance provider and an individual seeking to be insured. The nut and bolt of this contract is that the insured designates a beneficiary who is then entitled to receive certain agreed upon amount of money upon the death of the insured. If you have school-age children and a partner who solely depends on your income for survival, you need to ensure you get life insurance to secure their future when you are gone. 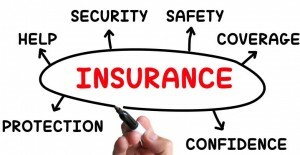 Because of the availability of different types of insurance covers each having its own specifics, there is somewhat a mix up in the market with respect to life insurance. That being said, it is important as you explore life insurance options that you fully understand the various types of life insurance policies in the market and their suitability for your needs. This type of insurance pays out irrespective of the timing of your death. The only requirement is that you pay your premiums without fail. When the policyholder is younger, premiums are much higher which the direct opposite of term life insurance. However, considering the benefits, this is an excellent policy. The only drawback is that the insurer doesn’t involve you when picking the portfolio where your funds will be invested in. This policy covers you best when you have limited cash to put into insurance and your needs are short-term in nature. As a policyholder, you will be covered for a specified time frame during which you are required to pay your premiums promptly. Some term life policies give you the option of converting into a permanent life policy. Should something happen to you before the term expires, the proceeds from the policy can be used to cover financial obligations such as car loans and/or mortgages and the rest handed over to the designated beneficiaries for their upkeep. If you are worried about how the outcome of a medical examination will impact on your ability to be accepted for a life insurance policy, this policy is for you. It is one of the newest in the market and it has so far attracted a great deal of policy buyers. Because of the added benefits and magnitude of risk insurers assume, the premiums payable can be quite unaffordable for some people. This policy guarantees you cover irrespective of your past or current health status. With just a few health-related questions asked, you get a cover that guarantees receipt of proceeds for the indicated beneficiaries only after a given period of time from the date when the policy was issued. If you happen to pass on within the time of the policy, your beneficiaries will be given the premiums contributed as well as the interest accrued. Life insurance is therefore important but diverse and as such it is important you understand the nitty-gritty before putting in your hard-earned money.